This training course is for absolutely anyone to do. It is designed for the student to learn how to use mindfulness in everyday living—through movement, meditation and relaxation, in order to bring about a serenity in a person. This course teaches the student about this so that they can then teach others the same, in a variety of settings a such as primary/secondary schools, colleges/universities, and workplaces. You don’t need any particular background to partake in this course, just a willingness to learn for yourself and a willingness to teach others the same. 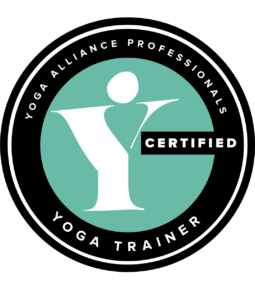 THE MINDFULNESS ONSITE YOGA TRAINING COURSE WHEN COMBINED WITH THE TEENS TRAINING IS ACCREDITED WITH YOGA ALLIANCE PROFESSIONALS, MAKING 52 CPD POINTS ALSO. Should you wish to attend both weekends (any venues) the total cost is £650 when booked together (both courses are available to complete singularly also). 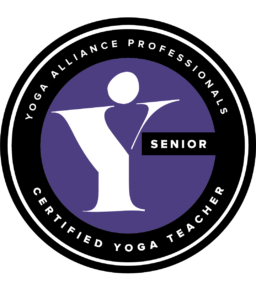 For a syllabus of this accredited training please click here! THIS COURSE IS ALSO AVAILABLE AS DISTANCE LEARNING AT £350. 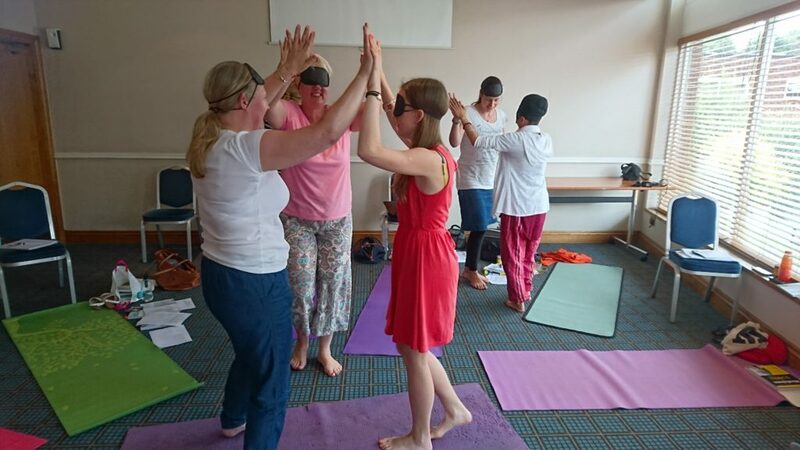 This course is not just about relaxing and being calm, it is about bringing mindfulness into a persons live – which in turn is relaxing when someone knows how to be present with themselves and aware of themselves/environment in every moment. The world today seems to be going by a fast pace. Not only are we going more, our minds are more active than ever. Just like technology, our minds are forever expanding with new knowledge and ideas. In order to cope with all this information we need to slow down and take stock. If we rush about at a vast pace, either physically, mentally, emotionally or even spiritually, we will hit a breakdown point. Now more than ever, we need to become aware of all that we do. We need to learn how to be present in this moment rather than rushing on to the next great plan, or inspiration that we might have. We are ‘human beings’ not ‘human doings’. The clue is in the name! There will always be more to learn and do, but there are many of us that are stuck in a pattern of forever feeling the need to do something, or to strive forwards in someway. This is the time we need to become conscious of what we are doing, see the behaviours that we have learnt and become stuck in, and how we feel in EVERY MOMENT. 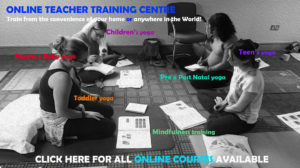 You will experience yourself mindfulness, movement, meditation and relaxation throughout this course so you will have first hand experience that you can pass on in your classes.This is a wonderfully insightful and knowledgeable course, that will provide you with not only personal/professional growth, but also the skills and techniques to teach this to others—anywhere. Mindfulness—Theory & Practice. What it is, how we use it and practical exercises. Movement—Theory & Practice. What we do as Human ’Doings’, how we use mindfulness in movement and practical exercises. Meditation— Theory & Practice. What it is, how we do it, overcoming challenges and practical exercises. Relaxation—Theory & Practice. What it is, how we do it and practical exercises. Bringing it all together, who to teach and class plans. The ‘Mindfulness for Dummies’ Book by Shamash Alidina, is given to you at the start of the course and will be used as reference material throughout the course. Audios to support your own practice and to use also in your classes. Access also to past onsite films of trainings and other resources. A working knowledge of mindfulness and how it relates to movement, meditation and relaxation. For the first year on completion of the course(s) you will be mentored by us whenever you need answers to questions. You can raise any queries along the way, and we are also here for you if you just want to bounce ideas off us. NB: Courses are non refundable after booking, however it maybe possible to transfer to another course.